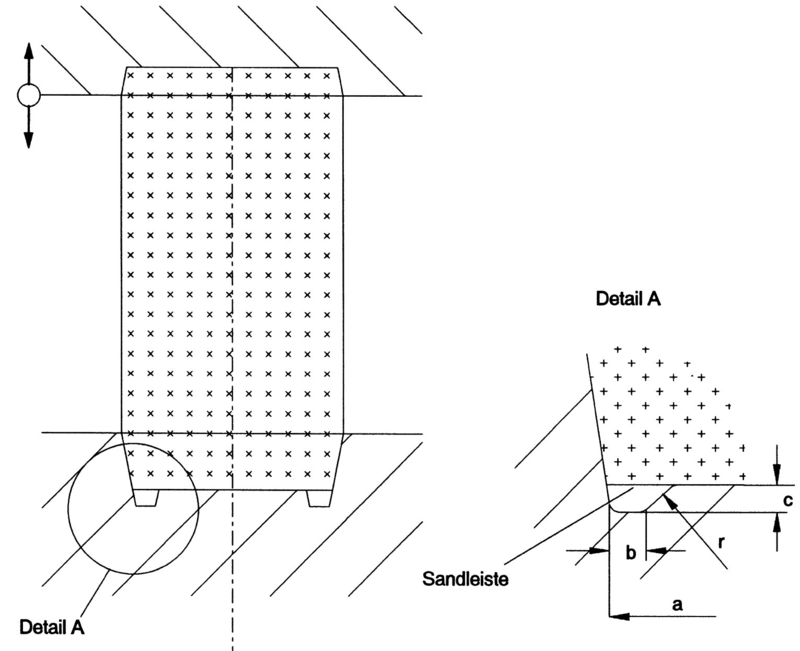 Reinforcement in the form of a ledge at the inside of the mold box to retain the compacted sand during lifting and turning of the casting. In addition, the term sand bar also refers to the flat ledge attached to the patterncore prints which forms a small recess in the core print of the mold to accommodate the sand which has been wiped off during insertion of the core. The dimensions of the sand bar depend on the size (width) of the core print. However, flash may occur in these places.